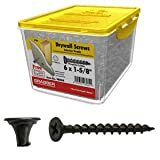 Save on Drywall Screws at High IQ Business Network. Top brands include GRABBER Construction Products, Inc., SuperDrive®; GRABBER® Construction Products, Inc, & Qualihome. Hurry! Limited time offers. Offers valid only while supplies last. 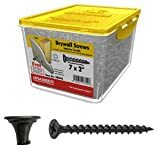 GRABBER 6 x 1-5/8" Coarse Drywall Screw, Scavenger Head - 5 Lbs. By GRABBER Construction Products, Inc.
GRABBER® 7 x 2" Coarse Drywall Screw, Scavenger Head - 5 Lbs. GRABBER 10 x 3-1/2" Coarse Drywall Screw, Scavenger Head - 5 Lbs. View more products in Screws.